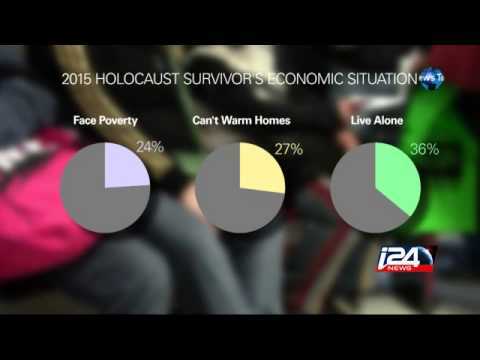 A poverty report has added fuel to long-standing debates about religion, intercommunal politics, and Israel’s national priorities. An energy boom and its high-tech achievements as the vaunted “start-up nation” notwithstanding, Israel is seeing more and more of its children living in poverty. Figures released by the country’s National Insurance Institute showed that the poor in Israel became poorer in 2014 and the extent of poverty in working families grew. The findings put Israel’s poverty levels at the second highest among OECD nations, with only Mexico’s being worse. Israel was also second-highest for the rate of poverty among children, behind Turkey. “Israel needs to allocate $18 billion to lower poverty in the country to average OECD levels,” said Welfare and Social Services Minister Haim Katz after release of the report Wednesday. Last year Israel laid out $17 billion in military expenditure. The number of Israeli families below the poverty line rose from 18.6 percent to 18.8 percent, reaching a total of 1,709,300 families. This is equal to one in five Israeli citizens, with an astounding one third of all children living in poverty. The insurance institute’s guidelines define poverty as any person whose income is less than $792 a month, $1268 for a couple. A five-member family earning less than $2377 a month is also considered poor. The increase may seem incremental but solidifies a nearly decade long trend roughly matching the tenure of Prime Minister Netanyahu and the neo-liberal economic policies pursued by his Likud Party. Even dual income households can’t always escape being poor. Last year, they represented 5.6 percent of poor families, a figure that has risen over the past decade from 2 percent. “Netanyahu’s concept of trickledown is not working and inequality has been increasing because the cost of living, especially since housing and food prices, have skyrocketed,” said the respected economist and Labor Party Knesset member Manuel Trajtenberg. The National Insurance Institute said the hardest hit among low-income households were the working poor, whose income after discounting for inflation actually declined. Finance Minister Moshe Kahlon said Wednesday he had directed Israel’s treasury to increase negative-income tax payments to encourage people to work and reduce the upswing of poverty among wage-earners.